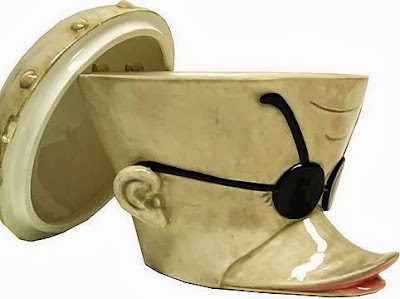 This Dr. Finkelstein cookie jar cracks me up! I love that the top of his head opens up just like in the movie. 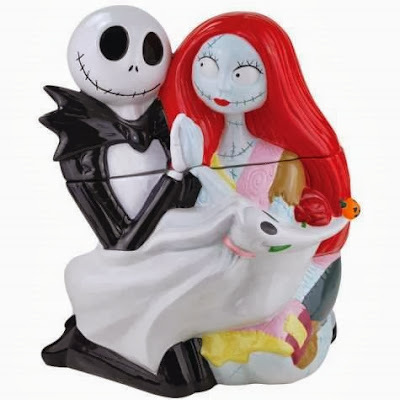 I love the way Jack and Sally are hugging on this cookie jar! I'd love to keep this smiling Jack Skellington cookie jar full of Trader Joe's pumpkin-faced Halloween Joe-Joe's cookies. (Also available on Amazon). Jack leans against a tomb in this black cookie jar. (Also sold on Amazon).